Since economics is rapidly climbing the ranks as one of the highest paying and most popular college majors, many organizations and universities have established scholarships for economics majors to take advantage of this demand. Although some students may be cautious about selecting a major in economics due to a phobia of mathematics or statistics, it is important to realize that an economics degree can also open many doors in the political research, government, finance, corporate management, law, non-profit, education, and public administration industries, too. In order to fulfill your professional goals in these dynamic fields without accumulating mountains of student loan debt, the following are 25 of the most generous scholarships available specifically for economics majors. In order to address the increasing epidemic of Hispanic college drop-outs, the MillerCoors Brewing Company created the ¡Adelante! Fund Scholarship to present $3,000 annually to Latino college students pursuing an undergraduate degree in international business, business, economics, finance, accounting, marketing, or public relations. Eligible candidates must have junior or senior-level status at a participating accredited U.S. university, maintain full-time enrollment, and possess a minimum cumulative GPA of 3.0 or better. Each year, the American Institute for Economic Research (AIER) introduces the Summer Fellowship program for junior and senior-level undergraduate and graduate students majoring in economics, finance, business, or other related fields to enhance their understanding on economic concepts through real-world hands-on research experience. In order to qualify for the fellowship with a generous stipend, candidates must submit a current resume, writing sample, personal statement, official transcript, and two letters of recommendation. The Appraisal Institute Education Trust (AIET) Graduate Scholarship is available annually for $2,000 to help finance the educational endeavors of graduate students who have concentrated their studies in real estate appraisal, land economics, real estate, economics, or other allied fields. Applicants must be a full-time or part-time student at a U.S. degree-granting institution, be enrolled in a master’s or doctoral degree program, and have a strong academic record. At the University of Nebraska Omaha, the Barbara Miller Memorial Scholarships are granted annually for $1,000 to junior and senior undergraduate students enrolled on a full-time basis in the College of Business Administration with a declared major in economics. If recipients of the junior award maintain full-time enrollment and a cumulative GPA of 3.5 or higher in both semesters, the scholarship can be renewed for the senior year. In honor of the former Professor Emeritus of the Department of Economics who retired in 2007, the University of Minnesota Duluth (UMD) awards the Carolyn and Richard Lichty Scholarship in Economics for $1,500 each year to deserving upper-division undergraduate students who are currently pursuing a major in economics. Qualified candidates must be registered for 15 semester credits or more, have junior or senior-level standing, and possess at least a cumulative GPA of 2.5 or better in all lower-division economics courses. Created in honor of a long-time professor of economics within the University of South Dakota’s Beacom School of Business, the Daniel M. Bylander Economics Scholarship is given to undergraduate or graduate students who are currently enrolled full-time in an economics degree program offered by the university. To be eligible, students must have maintained a GPA of 3.0 or better, be entering the junior or senior year, and be graduates of a public or private high school within South Dakota. Open to all full-time freshman, sophomore, junior, and senior-level students enrolled in the College of Business and Economics at Towson University with a declared major in economics, the Dr. Harvey Paul Scholarship for Economics presents $1,000 to students based on ability and financial need. Qualified applicants must be Maryland residents, have a cumulative GPA of 3.0 or higher in major coursework, and possess a minimum SAT score of 1100. Funded by the National Society Daughters of the American Revolution (DAR), the Enid Hall Griswold Memorial Scholarship is distributed annually as a one-time award for $1,000 to a deserving junior or senior-level undergraduate student who is pursuing a major in political science, economics, government, or history. Eligible applicants should be enrolled full-time in an accredited college or university in the United States, have a minimum cumulative GPA of 3.25 or higher, and demonstrate financial need for assistance. Established by the Department of Economics at Boise State University to recognize students who have the potential to become high-achieving professional economists, the Geetha Raha Scholarship for Economics Majors provides up to $1,500 to full-time junior or senior economics majors who have completed at least six credit hours of upper-division major courses. In order to qualify for the funding, students must have strong academic achievement with a minimum overall GPA of at least 3.0 or better. Administered by Phi Chi Theta as the co-ed professional fraternity for business and economics, the Helen D. Snow Memorial Scholarship Fund grants annual awards for national members in good standing who are enrolled in an approved U.S. institution in pursuit of a bachelor’s, master’s, or doctoral degree in the fields of business and/or economics. Selection will be based on scholarly achievements, chapter contributions, academic performance, community service involvement, and fraternity officer recommendations. Granting up to seven scholarships annually on a competitive basis, the Institute for Capacity Development Scholarship Program is available for Japanese scholarships who are seeking to obtain a Ph.D. degree in macroeconomics in preparation for working as an economist at the International Monetary Fund (IMF). Eligible candidates must be Japanese citizens, able to obtain a doctoral degree by age 34, and studying at a Ph.D. program at any university with a strong macroeconomics program in the United States. Established in memory of a beloved faculty member in the Department of Economics at Texas A&M University, the Jacquelene M. Browning Memorial Scholarship offers up to $1,500 in financial support to economic majors who will have at least sophomore standing in the following fall semester. Qualified candidates must have a minimum cumulative GPA of at least 3.5 or higher, have completed two honors courses by the end of the semester, and be Texas residents enrolled on a full-time basis. Created by the Department of Economics at the University of Massachusetts at Amherst in honor of the former Chair who passed in 2003, the James Kindahl Award for Excellence in Economics is granted for $1,000 each year to a full-time undergraduate or graduate economics student with a record of excellence. Preference will be given to students who demonstrate outstanding academic achievement, exhibit a commitment to social issues or public policy concerns, and possess strong writing skills. For those who excel in the study of economics and carry this excellence through their studies or extra-curricular activities, the Julia and Harold Fenton Memorial Scholarship is bestowed annually to a full-time junior economics major at the University of Connecticut who demonstrates academic achievement and interest in pursuing graduate studies. As stipulated by the donors, priority will be given to students who demonstrate significant involvement in community service and financial need. At the University of Wisconsin-Madison, two Lorraine A. and Dwight Stone Scholarships for $5,000 apiece are presented annually to undergraduate declared economics majors in the College of Letters and Sciences with an official home residency in the states of Minnesota or Iowa. Qualified economics majors must have four full-time terms of study remaining and have proof of academic merit with a cumulative GPA of 3.0 or better in all major coursework. As a non-profit organization that works to improve business standards for buying, selling, and trading of securities, the Mid-Atlantic Security Traders Foundation offers $2,500 scholarships for undergraduate students in Maryland, Virginia, and Washington, DC who are sophomore or junior business majors with a concentration in finance or economics. Applicants must submit a 500-word essay on securities markets, an official transcript, and two recommendation letters. With the goal of encouraging undergraduate sophomore and junior students to pursue careers in the marketing of milk or dairy products, the National Dairy Shrine Milk and Marketing Dairy Products Scholarships are available for up to $1,500 to students majoring in dairy science, agricultural economics, dairy genetics, dairy nutrition, or dairy marketing. Recipients will be chosen annually based on leadership potential, involvement in extra-curricular activities, academic performance, and career interests within the dairy industry. Sponsored by the Recreational Vehicle Dealers Association (RVDA), the Newt and Joanne Kindlund Family Foundation Scholarships provide up to $2,500 in financial support to deserving sophomore, junior, and senior-level college undergraduate students in the U.S. who are majoring in business, finance, economics, accounting, or any subject related to the RV industry. Selection for awarding the scholarship will be based on applicants’ desire to find employment within the RV business after completing post-secondary education. Annually, the National Society of High School Scholars (NSHSS) Foundation awards multiple Economics Scholarships for Public Policy for $1,000 to graduating high school seniors in the United States who have been accepted into a four-year institution to pursue a degree closely related to economics and/or public administration. Eligible seniors must have a minimum cumulative GPA of 3.0 and demonstrate a desire to better understand the role of economic factors in public policy formulation. For undergraduate and graduate students in Missouri, the Phelps County Bank Scholarship was established to provide up to $2,000 to individuals majoring in economics, microeconomics, macroeconomics, finance, international trade, or government policy who are interested in pursuing a career within the banking industry. While preference will be given to students enrolled at the Missouri University of Science and Technology, anyone attending an accredited four-year institution in Missouri is welcome to apply. Within the School of Public Affairs at St. Cloud State University, the Robert and Ronald Besonen Economics Scholarship is awarded annually for $1,500 to undergraduate students who are actively pursuing a double major in economics and finance. Qualified candidates must be currently participating in a business-related SCSU student organization, be working part-time to meet the costs of college education, and have a minimum cumulative GPA of 3.0 or greater. With the purpose of providing the opportunity to receive a degree in economics to students who may have only average grades, the Ron Ulmer Endowed Scholarship in Economics is offered each year at Illinois State University for undergraduate economics majors who have completed at least two semesters with a minimum cumulative GPA of 2.2 or higher. In order to receive the $500 award, students must demonstrate financial need, average academic achievement, and a passion for learning more about economics. Each year, the Scarlett Family Foundation awards numerous college scholarships for up to $15,000 to middle Tennessee students who are attending any public or private U.S. institution to pursue a business degree in accounting, advertising, business administration, economics, entrepreneurship, finance, healthcare management, human resources, international business, management, marketing, organizational development, or public relations. Qualified applicants must demonstrate financial need, have a cumulative GPA of 2.5 or higher, and be a legal resident from one of the eligible Tennessee counties. Through the generosity of retired professor Dr. Edward Shapiro, the University of Toledo annually presents the Shapiro Scholarships for Economics Majors for $5,000 to undergraduate or graduate students majoring in economics with an excellent academic record, good communication skills, and great promise for an outstanding career in economics. Applicants must be enrolled full-time, have a cumulative GPA of 3.5 or better, and submit an essay. At Indiana University South Bend, the Vivian and Arnold Sallie Underrepresented Student Scholarship was established by the Judd Leighton School of Business and Economics to award up to $1,500 to outstanding undergraduate business and/or economics students with a minimum cumulative GPA of 3.0 or higher. Qualified underrepresented minority candidates with diverse cultural experience must have completed a minimum of 12 credit hours, be enrolled at least half-time, and demonstrate financial need. 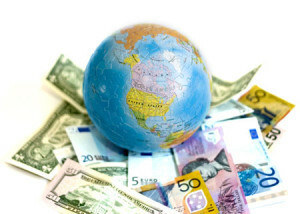 If you are interested in learning more about the allocation of the world’s resources, majoring in the social science of economics will ensure you have an in-depth knowledge on the economic theories related to how the world’s markets operate and how economic pressures drive the actions of governments. Due to the fact that rising tuition costs make earning a degree in economics increasingly more difficult, be sure to check out these 25 great scholarships for economics majors to lower the financial burden of achieving your fullest academic potential in this high-paying field.